Last month, this year’s ‘A Game By Its Cover’ game jam invited designers to make games based off of fictional NES cartridge artwork. The covers themselves come from the annual Famicase exhibition, where Japanese game store Meteor asks artists from around the world for submissions. Its a fun project in itself, and you can mosey around the entries for 2017 here. If you prefer to do your moseying in video game form, you can play any of the 128 entries for the 2017 jam here. It’s hard to know what might be worth your time from such a vast collection, so I’ve had a little poke around at what’s on offer. The jam’s organisers didn’t set up any rules beyond the games having to be inspired by the cartridges, leaving the participant’s imaginations to run wild. Roshigumi is a mash up of Asteroids and samurai sword fighting, where you can fly around chopping up space ships and parrying projectiles. It was based on this minimalist cover design. 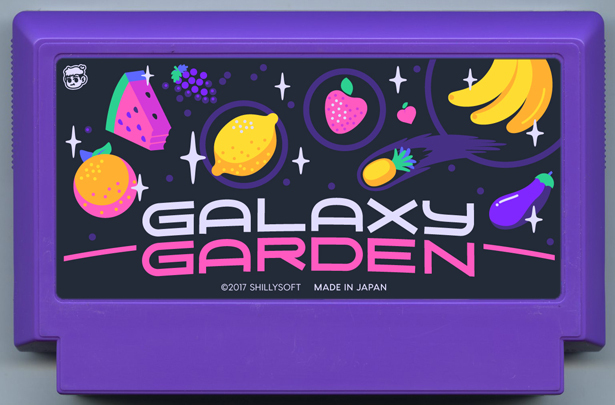 Galaxy Garden is a run’n gun platformer where you have to shoot robots and turn on sprinklers, transforming the lifeless environments into bountiful green paradises. Extra points go to the soundtrack for this one, with its funky thumping electronic beats. Here’s the cover that inspired it. 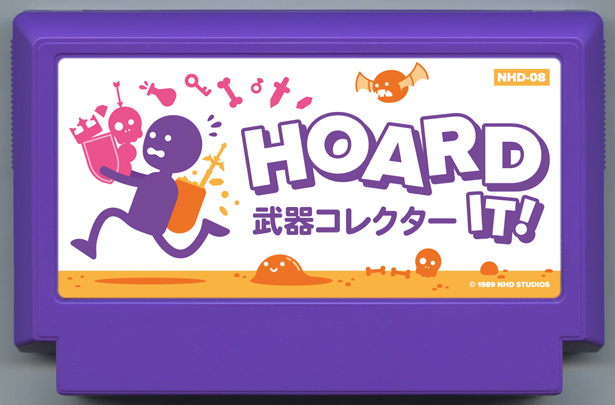 Hoard It has you pottering around a cave, grabbing loot and avoiding traps. The blue fella who you control reminds me of a spindly version of Gang Beast’s jelly bean characters, and his unhappy face staring up at me after I’ve inadvertently guided him into a boulder or spear is heartbreaking. This one has been more faithful to the original artwork, as you can see here. I’ve only scratched the surface – you can browse the rest of the games to your hearts content over at the jam’s Itch.io page. A Game By Its Cover held jams in 2015 and 2016 too. Tagged with A Game By Its Cover, nintendo, game jam.